Look at it. Just sitting there. All that fertility. My neighbor cleaned his feed lot and put together a big-ole manure pile. The stuff that dreams are made of. I’m sure he’ll spread it on his fields this fall without really letting it compost but that’s just how most people do it. I have a few cows. We rotationally graze them so there is no cow manure pile. I have a lot of chickens…same thing. No manure except in the old hen house. Pigs? No manure pile. I keep rabbits and the breeders stay put. Well, that’s what I’ve got. Rabbit manure. 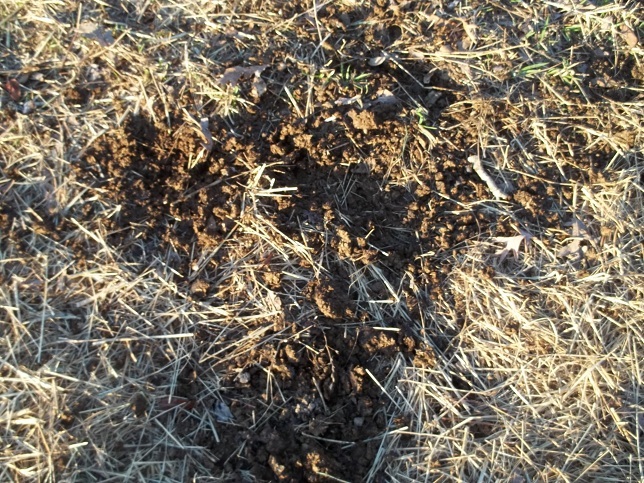 Well, rabbit manure and what I clean out of the hen house each spring and fall. Well, that and what I clean out of the greenhouses in the spring. But I need compost now. Like…NOW! Ugh. What to do? I guess I could head to St. Louis Composting to just buy compost. For $25 I can buy a pickup truck load but why would I do that when I could spend a month shoveling, raking, sifting and hauling to end up with a lesser quality (though herbicide-free) compost for free? And even if I had my neighbor’s manure piles and even if I had the energy to turn them all by hand or a heaven-sent front-end loader to turn the piles for me would it be enough? How much finished compost could I haul home at $25/yard? When would that be enough? 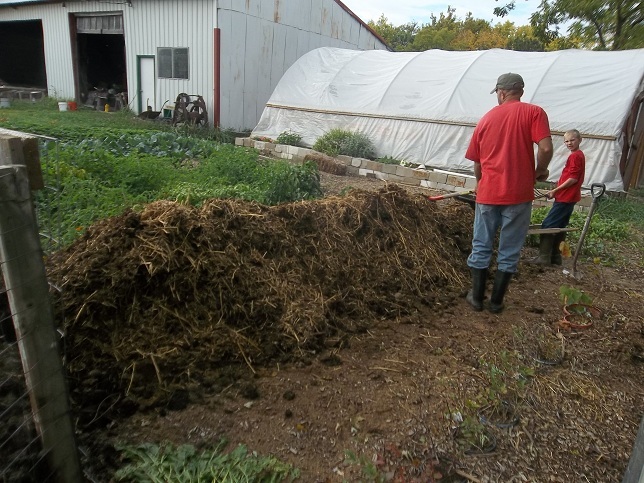 If I had 50 yards of compost sitting in a pile on the farm ready to be used would I still look over the fence wishing that manure pile was my own? Is there such a thing as enough? 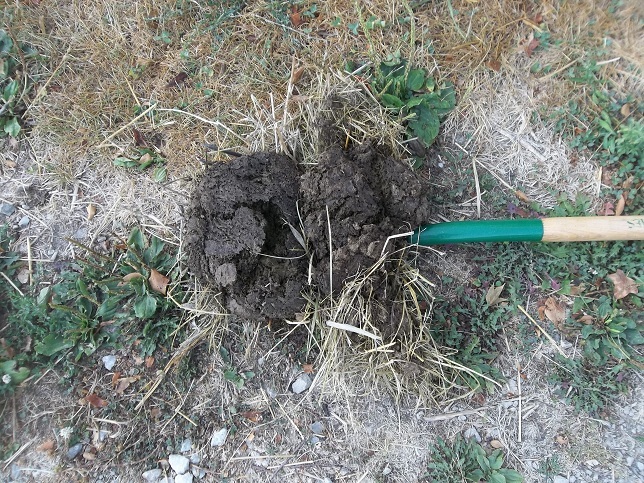 Am I a compost miser? Do I hoard manure? Are my eyes bigger than my stomach? How much is enough? I don’t know. I just know I need more and I need it right now. And again in the spring. And again in the summer. And again next fall. Does anybody else have these problems? It’s cow manure, aged to perfection (about 2 days old). 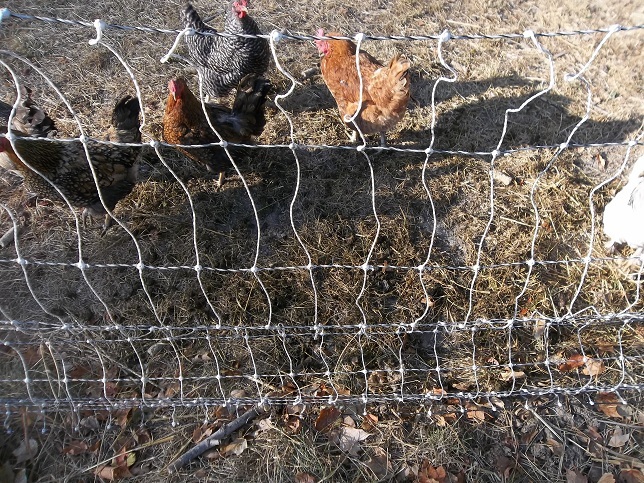 Cow manure has lots of interesting things in it for chickens to scratch out. 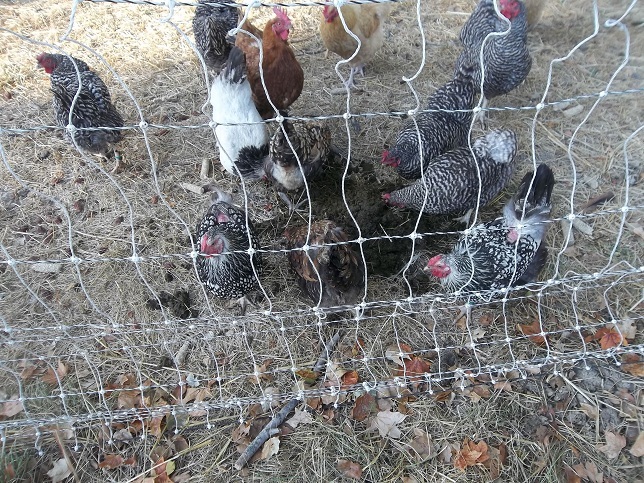 Normally, the chickens find cow manure each time I move them to new pasture but during the heat wave the birds are stuck in the front yard. I’m bringing them cow manure. It should also add fertility to the yard. Not a bad thing. Anyway, serve at room temperature and without a plate. Chickens really make pigs of themselves. No reason to wash dishes afterward. One curious bird starts a trend. Then the other ladies join in. I don’t really know what they are finding but they are doing more than just digging. 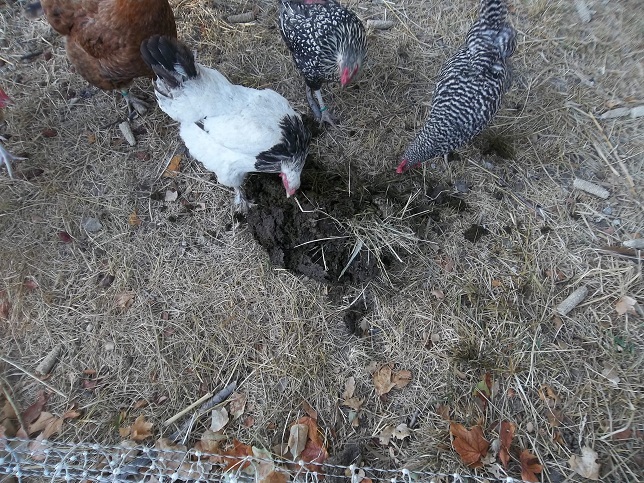 Cow manure has many things that are helpful to a chicken’s digestion. Now, don’t gross out. Chickens aren’t people. This is a very normal thing they are doing. Birds follow herbivores in nature doing this very work. Just a few minutes later and the cow pie is gone. In the early spring when there are large flocks of red-winged black birds roosting in the trees…so many it’s hard to have a conversation outside, the cow pies get decimated. They love it. Our chickens love it. The pasture benefits from it. Everybody wins.